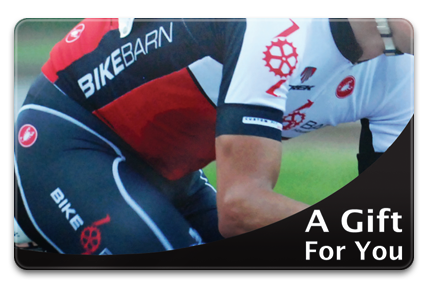 Get the perfect gift for your favorite cyclist! 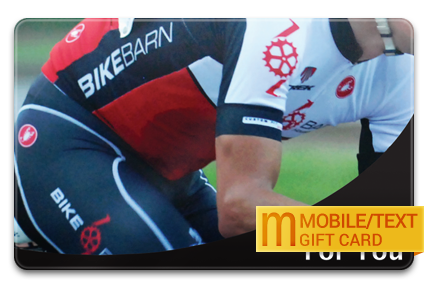 With three convenient methods, you can either purchase a physical card, choose an e-gift card that can be emailed, or select a mobile/text gift card that can be sent via text message directly to your recipient's mobile phone. 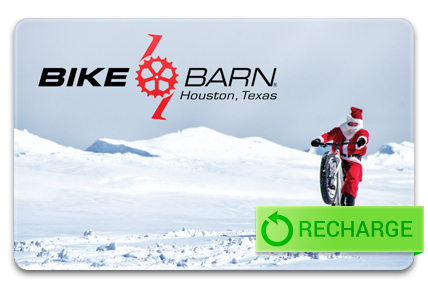 Plus, you can even recharge your Bike Barn card if you would like to add value to an existing card for your next purchase.